This is a licensed Sponge Bob Full Front castle that brings the Sponge Bob and his adventures to life. This jumper boasts breathtaking artwork. Children love to be with their favorite friends. 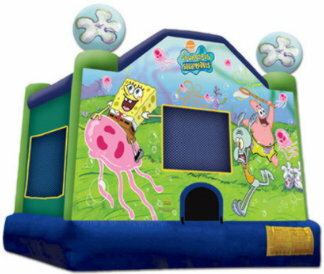 This compact smaller sized inflatable bounce house can fit even in smaller yards. Kids can jump away the day with all their friends.